This interview was conducted by Samantha Hoffman, panel moderator for Writing for Children: The Craft of the Picture Book at this year’s WriteAngles conference. I love the playfulness of children’s picture books, the music in the language, and the way the words and artwork weave together to something neither could accomplish alone. Kids are often very passionate about the stories they read (or have read to them). Have you had any reactions from your young readers that stood out and stuck with you? 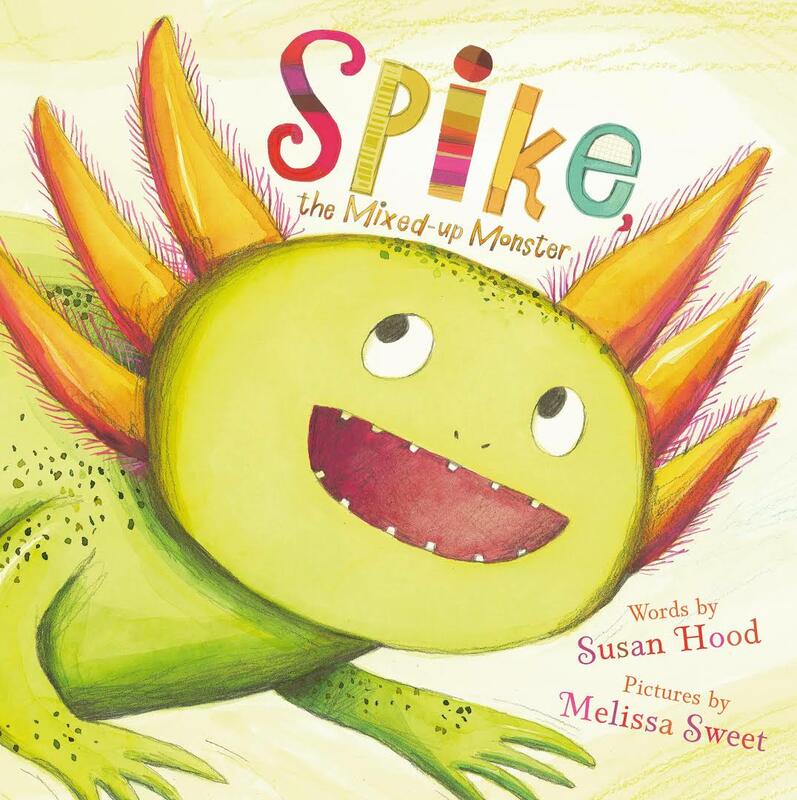 The most touching experience I ever had was when a severely autistic young boy spotted my book SPIKE, THE MIXED-UP MONSTER at a book festival. SPIKE is about a little-known salamander called an axolotl. Well, this boy knew all about axolotls! He started jumping up and down telling his grandmother about them. I’ll never forget the look of pure joy on his face (and hers) when she bought him the book. Another incredible experience was when a classroom invited me to see an entire musical they had created around SPIKE. Kids are amazing! You’ve written an impressive number of books (over 200!). Do you have any favorites? Usually the one I’m working on at the moment! You’ve also written very broadly — nonfiction, fiction, board books, easy readers, picture books — is there anything specific that you haven’t done yet that you would like to write someday? 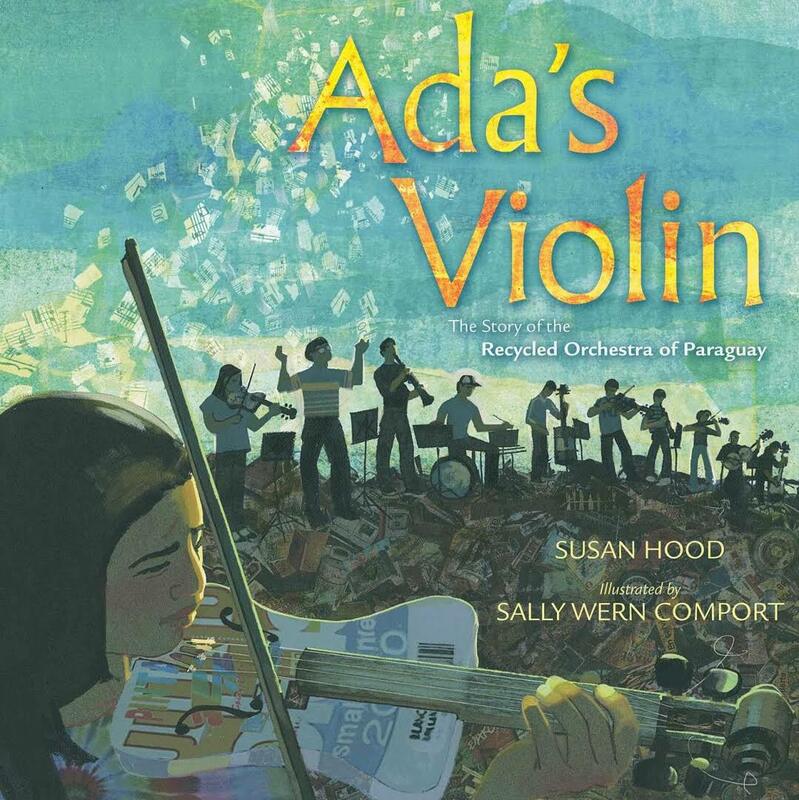 ADA’S VIOLIN is my first nonfiction picture book and I’ve found that I love doing interviews and research. So I hope to do more of that. I’m also venturing into the whole new world of middle-grade fiction. Speaking of middle-grade, how did the process of putting your upcoming middle grade book LIFEBOAT 12 together differ from how you approach your books for younger audiences? Some of the process is not so different. Each book starts with a discovery or a new idea I’m passionate about. Then I do research, create a structure, focus on characters and plot, refine the language for clarity, emotion, and sound, and revise, revise, revise. When I’m done, I share the book with a writer’s group I’ve been with for seven years. Then I revise again! Each genre has its own demands. Most picture books are 500-1000 words. So the author’s job is to boil the story down to its essence, carefully selecting evocative words that will inspire the illustrator to expand on the story, sometimes in ways the author never imagined. Here’s what’s difficult: while most people think picture book authors and illustrators collaborate very closely, you may never meet. So you have to write the best story you can, know when to stop talking, and then trust the illustrator to take it away! Since most novels don’t have illustrations I’ve had to unlearn what I learned as a picture book author and elaborate on the pictures in my head. Currently, LIFEBOAT 12 is about 25,000 words geared to 8-13-year-olds, rather than my usual audience of 2-6-year-olds. And while I’m writing this little-known World War II story as historical fiction, I’m working hard to ensure that all the dates, events, and people named in the story are factual. There’s a tremendous amount of research behind it. I traveled to England last summer to interview some of the key characters and do research in the National Archives and British Library. I still have a lot to learn about the middle-grade genre, but I’m loving the process and the challenge! One of your most recent books, ADA’S VIOLIN: THE STORY OF THE RECYCLED ORCHESTRA OF PARAGUAY, is about a real person, Ada Ríos. What drew you to her story? It’s impossible not to fall in love with Ada and all the kids of the Recycled Orchestra. Growing up on a landfill in Paraguay, these children spent their days playing in broken glass, rusty metal, and toxic chemicals as their parents picked through the garbage looking for anything they could recycle and sell. But one day, an environmental technician named Favio Chávez had the brilliant idea to create musical instruments from the trash and provide music lessons. Using violins built from baking pans, cellos crafted from oil drums and flutes fashioned from drain pipes, Favio taught the kids to play Beethoven, Mozart, and Bach. Soon they formed an orchestra and are now touring the world. They recently played for the Pope! I first heard about the orchestra on 60 Minutes and knew I wanted to share this extraordinary true tale with kids. Most of the press focused on Favio, but I wanted to tell the story from the point of view of a child in the orchestra. I interviewed first violinist Ada Ríos along with orchestra conductor Favio Chávez. Since then, they’ve been featured in a new documentary film called the Landfill Harmonic and profiled on NPR. Their story illuminates issues of poverty, pollution, and even climate change in a way that celebrates a can-do spirit and leaves a little Mozart in your heart. You’ve had a very busy 2016, with the releases of LEAP AND BOUNCE, ADA’S VIOLIN, MISSION: BACK TO SCHOOL, and the soon-to-be-released THE FIX-IT MAN! Is there anything in the works for the future that you would like to tell readers about? Yes, next spring I’m publishing my first book with Candlewick Press. It’s called DOUBLE TAKE and is written in rhyme with adorable retro art by Jay Fleck. My editor calls it a topsy-turvy funhouse about opposites, relative words, and point of view with a dollop of yin and yang for good measure. Then LIFEBOAT 12 launches in September, 2017 from Simon and Schuster.